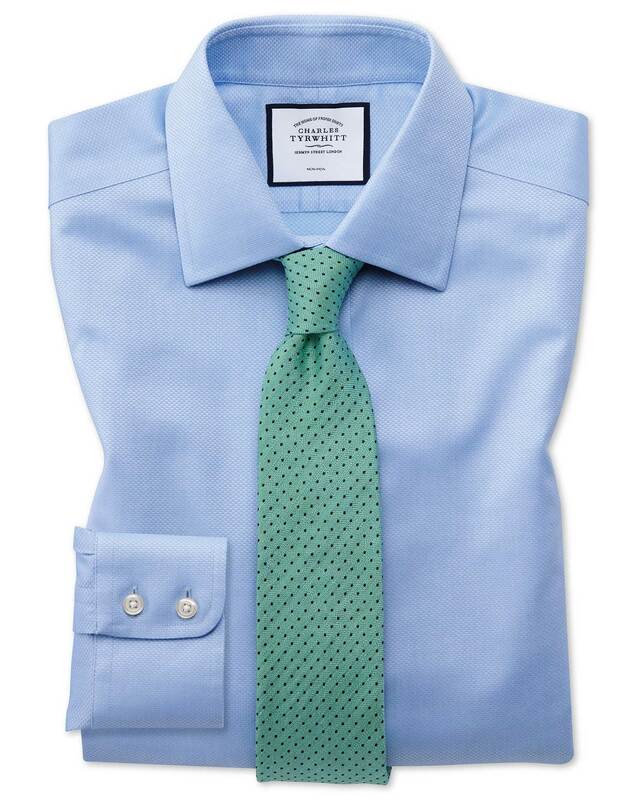 As with all of the classic collar CT shirts, the corners of the collar always curl under. The brass collar stiffeners give the shirt a more expensive look but they are completely ineffective. I can always tell when my work colleagues wear a Charles Tyrwhitt shirt as the collars curl under. I wish they’d revert to the plastic ‘sewn in’ variety as they also don’t get lost in the washing machine if I forget to take them out. Response from Charles Tyrwhitt: Shirt-makers across the world over have tried to understand the mystery of the curling collar and it continues keep us awake at night but we will continue to devote our best efforts to solving it. If your collars continue to curl with the collar stiffeners, we always recommend putting a slight bend in these to help counteract such curling. Further, if possible iron the collars when the item is still slightly damp. If this does not help you are of course welcome to return these to us within our six month no quibble guarantee. As per previous rating. I am of a slim build so am able to wear different body sizes for different occasions. the tie goes well with either shirt.